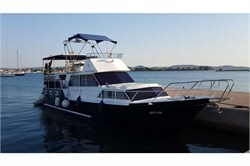 Ugljan / Kukljica is a meeting place for a great deal of yacht charter guests who flock to its shores yearly. 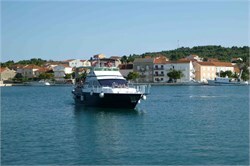 Apart from offering great sailing territories with varied cruising itineraries, Ugljan / Kukljica also has a good infrastructure for boat rentals. 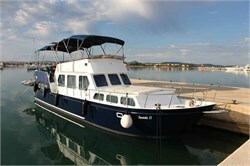 Because Ugljan / Kukljica is a popular destination, YachtBooker offers a range of different models of beautiful boats. In order to access those yachts, just head above to the menu labelled YachtFinder® and click on the respective boxes in order to enter the criteria needed for your search. The more details you enter, the more refined your search results will be. If you don’t know what criteria you’re searching for, just click on the arrows to get a list of suggestions in the drop-down menu. Keep in mind that there are more than one location to go to when visiting Ugljan / Kukljica. You can read descriptions of neighbouring resorts in Ugljan / Kukljica by clicking on the article list located in the right corner on top of the page. 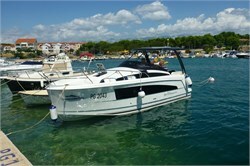 Each link is an article structured according to the main needs of a sailor on a boat rental: logistics, what to do once you get there and the most important sights to see.